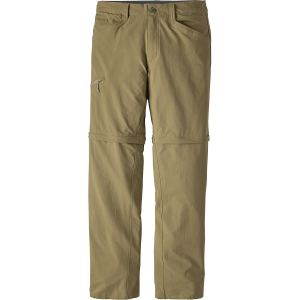 Tough and technical, Patagonia Quandary men's pants are movement-oriented, offering comfort and performance for exploring the wildest places you can find by foot or by bus. Light and technical, our movement-oriented Quandary Pants are made of a strong, lightweight and quick-drying 95% nylon (65% recycled)/5% spandex fabric with a DWR (durable water repellent) finish to resist moisture. The curved waistband follows the contours of your hips for a personalized fit, while a gusseted crotch allows for a full range of motion. They have front handwarmer pockets (the right with a coin pocket), two rear pockets and a right-thigh pocket with a security zipper so you know exactly where you put your keys. 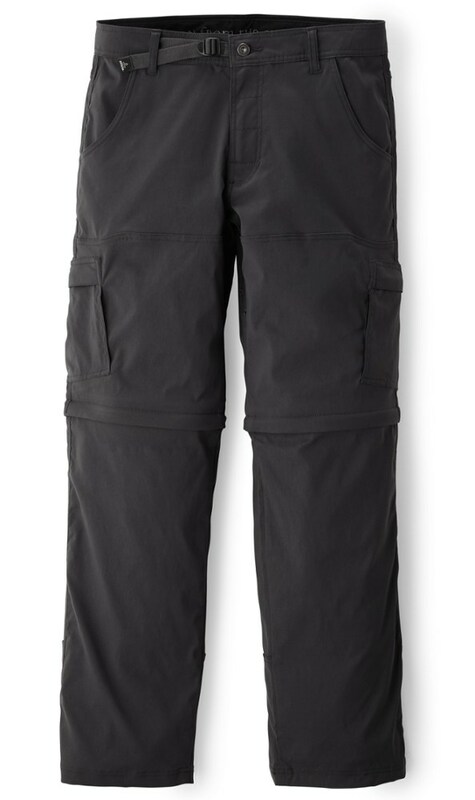 Details include wide, reinforced belt loops, zip fly with metal web-button closure and 50+ UPF sun protection. Inseam is 32". 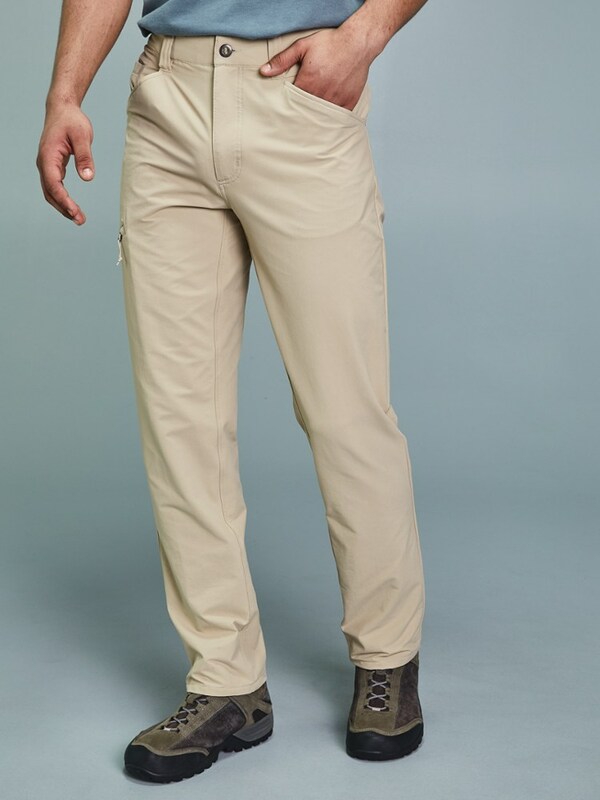 Dispelling the notion that you need different pants for work and play, the Patagonia Men's Quandary Pant seamlessly transitions from office to adventure with its clean styling and durable stretch-woven fabric. Its lightweight, wrinkle-resistant, and stretch properties mean you'll look good at work and have plenty of mobility for hiking and climbing. The DWR finish rapidly sheds moisture for quick-drying performance in the wild. 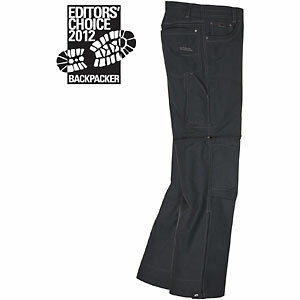 Other stand-out features include a gusseted crotch for unrestricted range of motion at the local crag or hiking trail, as well as a zippered thigh pocket for carrying your essentials. 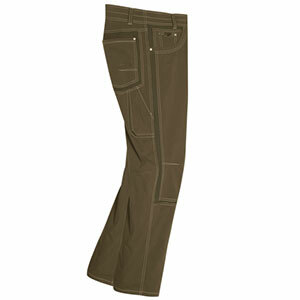 Tough and technical, these movement-oriented pants offer comfort and performance for exploring the wildest places. Made of a strong, lightweight and quick-drying 94% nylon (62% recycled)/6% spandex fabric, they give you plenty of flex for a week on the trail, 50+ UPF sun protection and have a weather-resistant DWR (durable water repellent) finish to resist mist and drizzle. The curved waistband follows your hips contours for a personalized fit; a gusseted crotch and knee articulation allow a full range of motion. With two front handwarmer pockets (right has a coin pocket), two rear pockets and a side leg pocket with security zipper, youll stay organized and know exactly where you put your keys (yeah, right). Details: reinforced wide belt loops and zip fly with metal web-button closure.